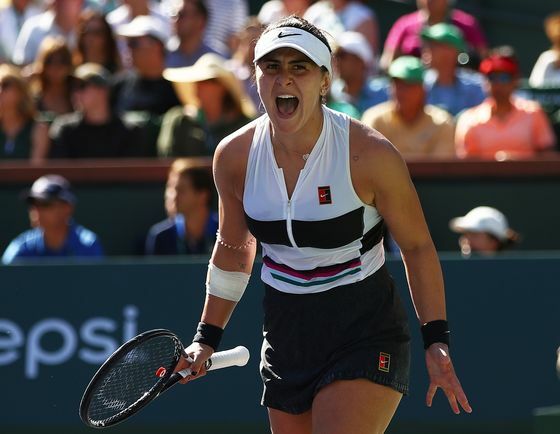 When teenage tennis star Bianca Andreescu won her first major title in California this week, two countries cheered her triumph. The 18-year-old is a Canadian citizen whose Romanian parents left in 1994. While the family returned home years later and Romania is where Andreescu began playing tennis, the financial support in Canada for budding athletes prompted them to eventually settle there. Romania, a former Eastern Bloc nation that’s now a European Union member, lost 3.4 million citizens to emigration in the 15 years through 2017 -- more than anywhere else in the world that’s not at war, according to the United Nations. Forecasts released in March say the economic pain from the departures will only get worse. 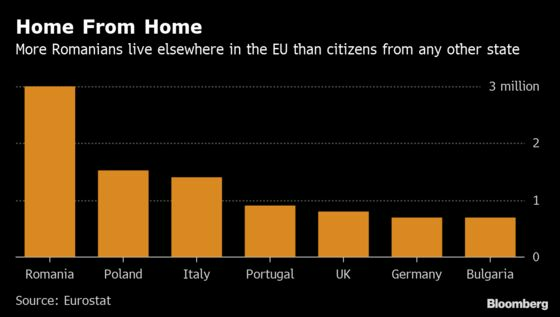 More Romanians reside in other EU states than any other nationality from the bloc -- about 3 million, Eurostat data showed this month. Most are lured to richer western members such as Germany and the U.K. where salaries are higher and diaspora communities have swelled. Even Brexit hasn’t dulled Britain’s appeal. 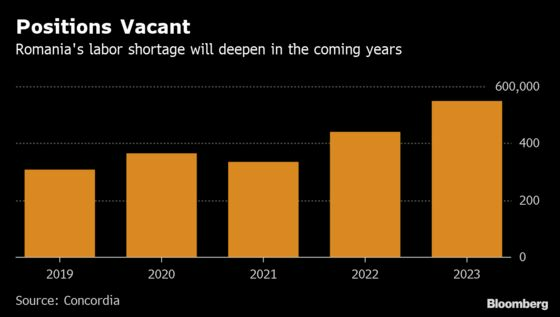 Like most of eastern Europe, Romania’s exodus has resulted in labor shortages that are being worsened by longer-term demographic decline. And it needs its workers to return home, fast. On the surface, some government initiatives already appear favorable: the minimum wage has been repeatedly raised, as have public-sector workers’ salaries. But ruling-party efforts to ease penalties for corruption aren’t helping. Neither are increasing tensions with the EU and sub-par health care and infrastructure. The fear, in fact, is that the stampede to leave will pick up. The government said this month that it’s worried the offspring of Romanians already working abroad will follow in their footsteps once they’re old enough.